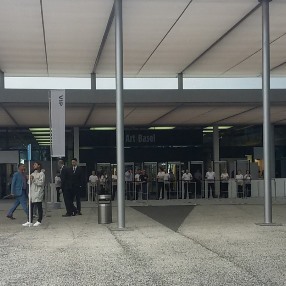 Art Basel is, without a doubt, the most important and prestigious art fair in the world, which is staged annually in Basel, Hong Kong, and Miami. It is also an ideal place to look for truly exceptional pieces of modern and contemporary art by both established and emerging artists. 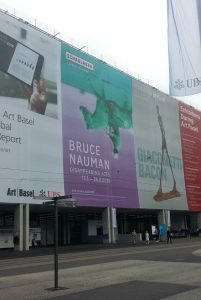 Art Basel is always a big event for all art business professionals, collectors, and connoisseurs, and perhaps the most exciting time in the art season. 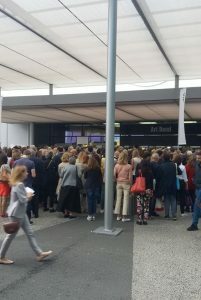 This year, our dedicated team of art shipping specialists was very lucky to be part of this amazing show, the latest edition of which was held on June 14-17 in Basel, Switzerland. As you know, Fine Art Shippers offers comprehensive fine art shipping services in NYC, London, Hong Kong, and many other cities and countries throughout the globe. Moreover, our 20+ years of art shipping experience and established relationships with many art galleries and artists allow us to take part in many important art events happening all year round, including the Original Miami Antique Show and the New York Architectural Digest Design Show. 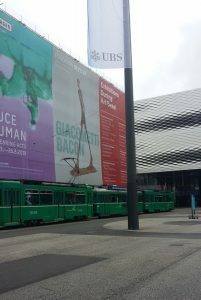 However, Art Basel is indeed a unique fair, and we are very proud to be part of this fantastic annual show! 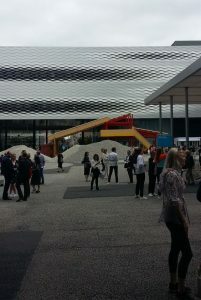 There were many reputable art galleries at Art Basel this year, and there were many outstanding pieces of modern and contemporary art for any taste. Some of them were delivered from New York to Basel by our team of art shipping professionals at the request of Galleria ZERO and several other galleries we work with. Overall, the Art Basel show was simply fantastic, and we are very thankful for the incredible experience and the amazing opportunity to apply our fine art shipping expertise and skills we had this June. 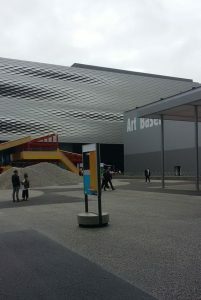 Here are several photos taken on the first day of Art Basel in Basel, Switzerland. It is also worth noting that Art Basel also gave us an excellent opportunity to get acquainted with many talented artists and art business professionals from around the world. Moreover, Fine Art Shippers built new industry relationships that are sure to benefit our company and, as a result, our clients. Along with that, all our art shipping and handling services will remain reasonably priced and accessible. You can easily verify this at any time by requesting a free shipping quote right from this website. Please, do not hesitate to contact us with any questions you have!